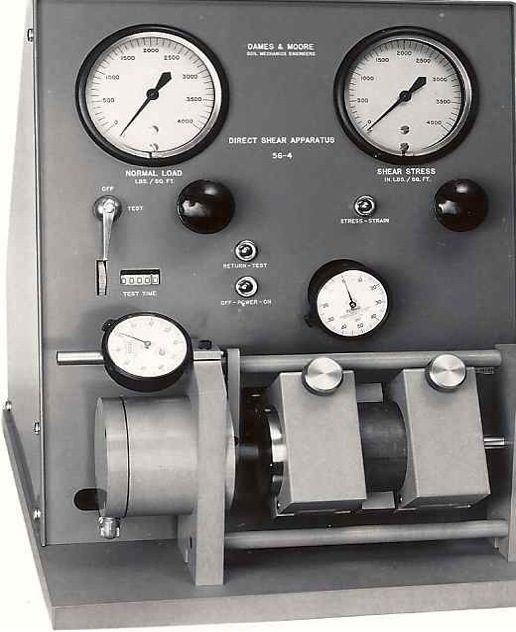 Boller and Chivens designed and manufactured several soil testing instruments for Dames and Moore. This instrument would apply compression loads to soil samples for analysis. Boller and Chivens made several of these instruments. 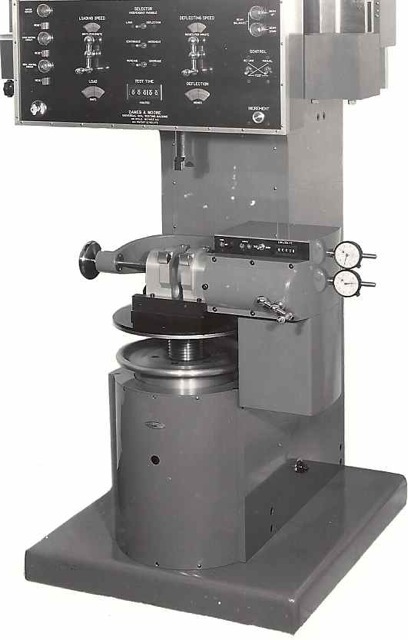 This instrument was a Direct Shear Apparatus that would apply soil shear loads to soil samples for analysis. 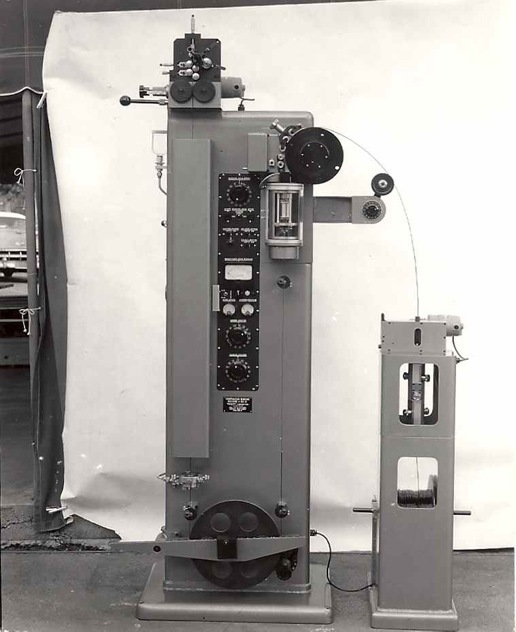 Boller & Chivens designed, manufactured and assembled all of Helipot’s continuous coil-winding machines. 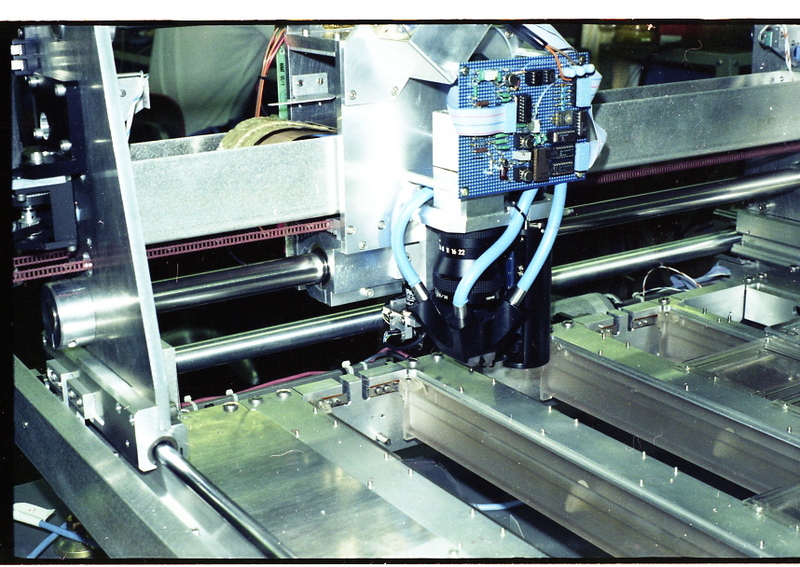 Each winding machine continuously wound a special resistance wire around an insulated copper core wire. The helical winding of the wire spacing was controlled to very close tolerances. In a continuous operation the core wire came off a drum running vertically through a wire straightening set of rollers and then over a selectable geared wire speed shive that controlled the core wire traveling speed. A winding head assembly contained the resistance wires spool when spinning at high speed, and wound the resistance wire around the traveling copper core wire. The resistance wire wound core wire passed down around a large idler pulley at the lower end of the column. It then progress up thru a pre-heater box and then through a Formex applicator assembly that applied a coating to three sides of the assembled wire. The Formex applicator was designed so that it could be adjusted to keep an inside area of the final coiling uncoated for electrical continuity when at the last stage was coiled. The assembled wire continued traveling up through a temperature controlled parabolic cal-rod reflector-baking oven. 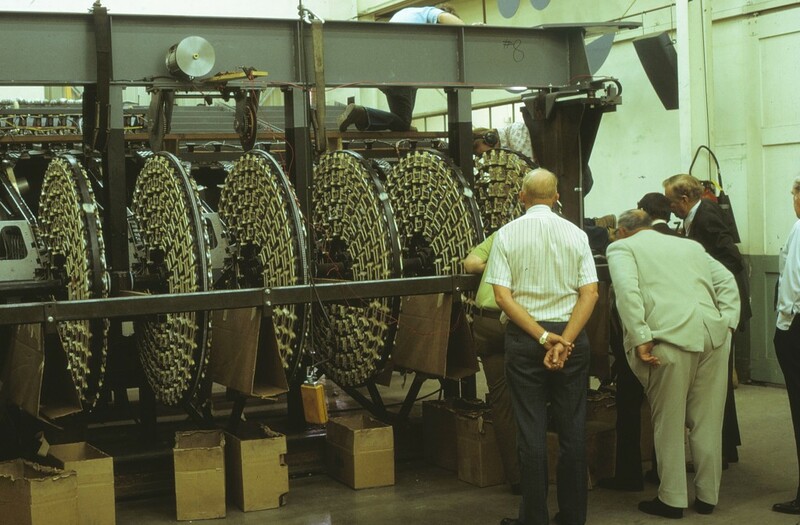 The final operation of the coil-winding machine was for the assembled wire being accurately formed into a coil that would be the exact diameter to fit into the Helipot housings. The continuous coils were then cut to length and assembled into Helipot 10 turn potentiometers. 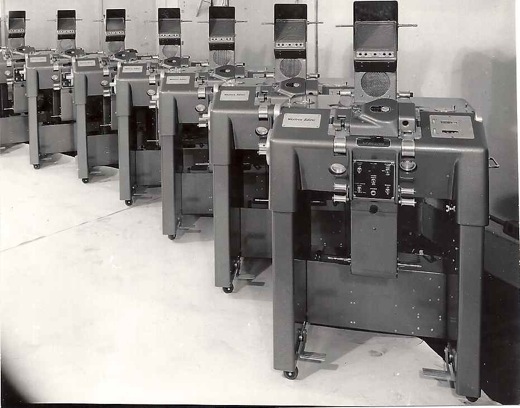 Many of these continuous coil-winding machines were manufactured for Helipot. 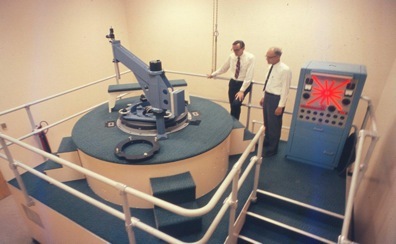 This was an instrument that would measure inches of Helipot coil windings coming off the continuous winding machines. It would check that the coils had the proper resistance via the wire spacing on the core wire. The instrument would adjust the speed of the core wire passing the helix placement position where the resistance was applied to the core wire. Gear ratios could be varied in the driving wheel speed. 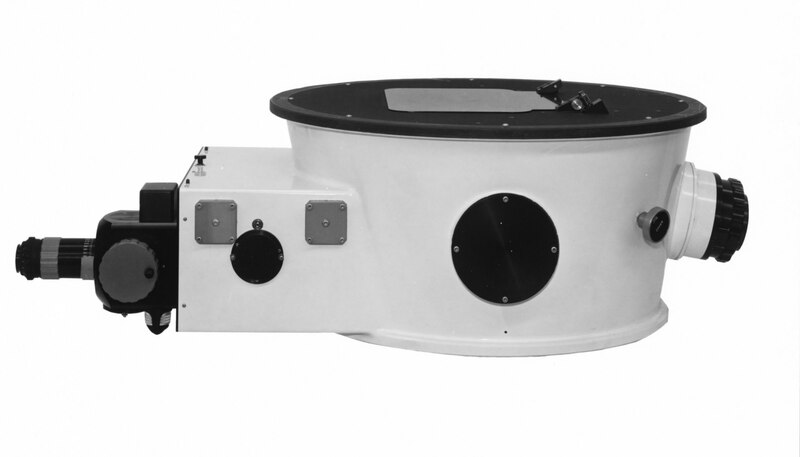 This is a later model for Helipot’s continuous coil-winding machines with several updates. The force required in pulling the core wire through the core wire-straightening device would cause the wire to creep on the diving wheel. Because of this creeping, the winding head would apply irregular helical windings on the core wire. 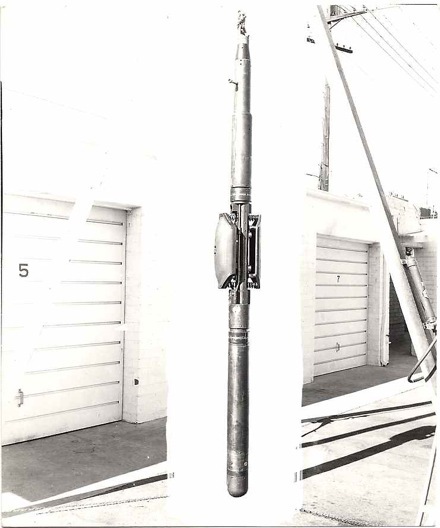 The core wire-straightening device was moved away from of the main column assembly and positioned adjacent to it. A motor driven friction driver would pull the core wire off the supply drum enabled the straightening set of rollers to apply additional pressure. A free loop of wire of core wire was created between the wire straightener and the speed controlled core wire diving wheel. The tension in this loop was then controlled by swing roller arm connected to a rheostat controlling the core wire driving motor speed. The large idler wheel was attached to a pivoting arm at the bottom of the column. A sliding a weight could be moved across the arm to adjust the tension of the wire in this area. 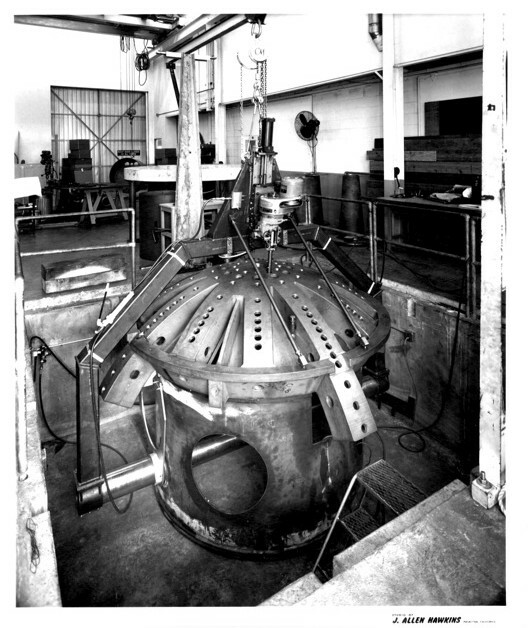 The coiling mechanism was improved upon and additional controls added on the column. 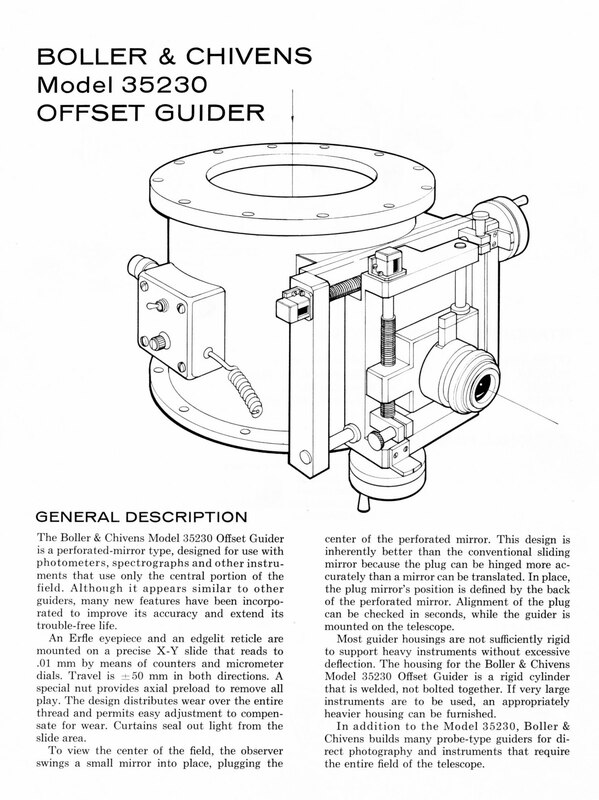 Boller & Chivens designed, manufactured and assembled Helipot’s Winding Lathes. Each winding lathe wound a special resistance wire around an insulated length of copper core wire. 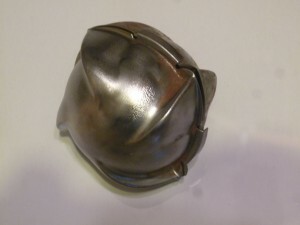 The helical winding of the wire spacing was controlled to very close tolerances. The design used a modified a South Bend lathe as the base for the winding machine. 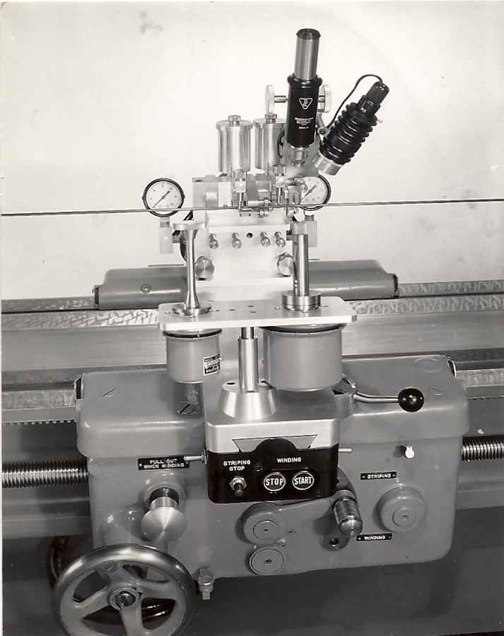 At the headstock outboard end, gearing was added to drive a variable speed Grahm Drive unit coupled with a custom Boller and Chivens differential. This new gearing would drive the standard South Bend quick-change lead screw drive at variable rates. In addition to driving the lead screw drive, the gearing from the headstock end drove a rotating drive shaft that extended to the tailstock end through the center of the lath bed ways. Gearing from the tailstock end of this driveshaft, drove a rotating tailstock assembly. 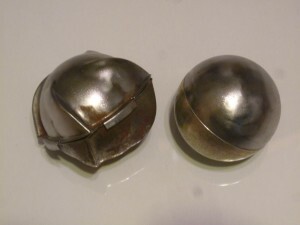 A copper core wire was stretched between the Jacob’s chucks located at each end of the lathe. 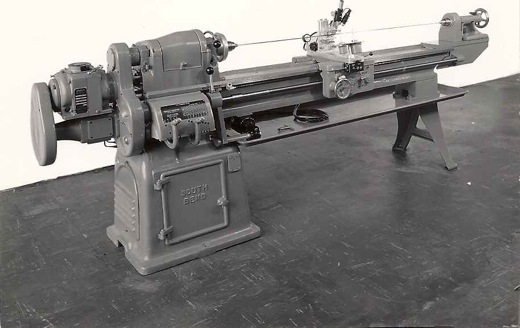 Located on top of the lathe’s traveling carriage was a resistance wire spool assembly and wire guiding the application of the resistance wire winding on the core wire. 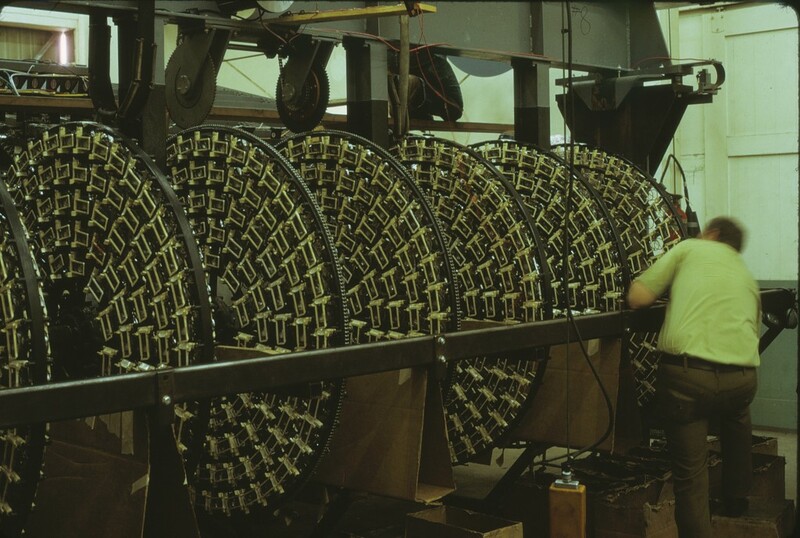 When the lathe was in operation, the moving carriage assembly would travel down the lathe bed winding the resistance wire around the core wire. 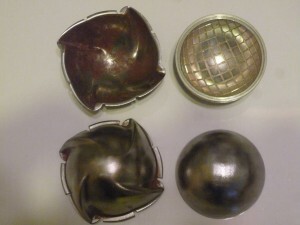 The lead of the resistance could be varied to meet different design conditions. These accurately wound wire armatures would be assembled into a Helipot product line. Many of these winding lathes were manufactured for Helipot. 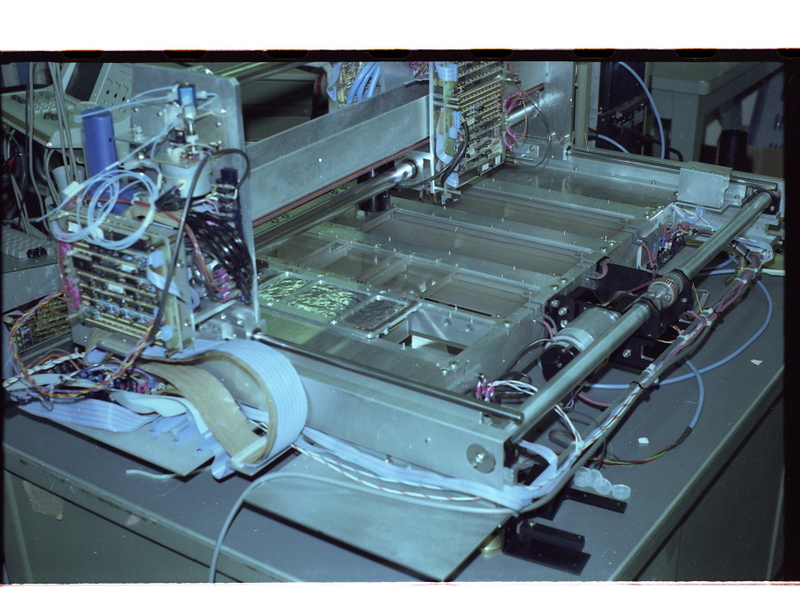 All the linear core wire-winding operation was controlled from this carriage assembly. Schlumberger Well Service Company contracted Boller and Chivens to manufacture a predesigned oil sampling test assembly. The assembly would be lowered down to predetermined elevations in oil wells that were presently being drilled. 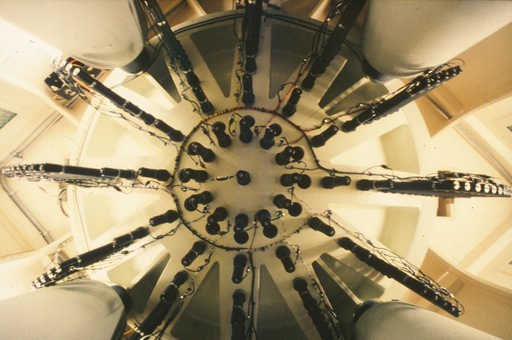 At a predetermined depth a pair of shoes in the center of the test assembly would expand out to the drilled diameter and seal the area from any local contamination that area. A signal would then be sent down to fire two projectiles to break up the local strata. Well pressure would then push gaseous and/or liquid samples into storage cylinders located at each end of the test assembly. 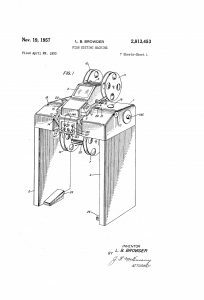 The shoes would then be retracted and the assembly would then be brought back up to the surface for analyzing the retrieved contents. Over a period of several years, Boller & Chivens manufactured over 50 of these oil-sampling assemblies. 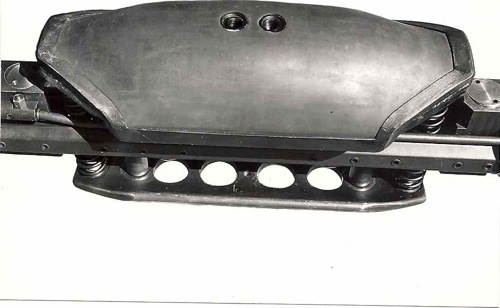 Pictured below is a close-up of the rubber sealing shoe with the projectile ports in the center. 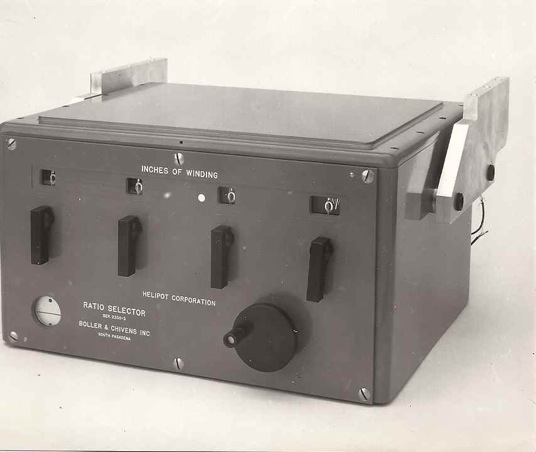 The Automated Immunoelectrophoresis Machine was designed, manufactured and installed by Boller and Chivens. One of John O’Rourke’s last jobs with Boller and Chivens before the merger with Applied Optics Division in 1980, was a very interesting job for the government of Japan. An expert in immunoelectrophoresis at USC Medical Center talked the Japanese government into funding the design and manufacture of an automated electrophoresis machine. The General Manager of Boller and Chivens, Larry Burris, was a USC alumni and made the contact. 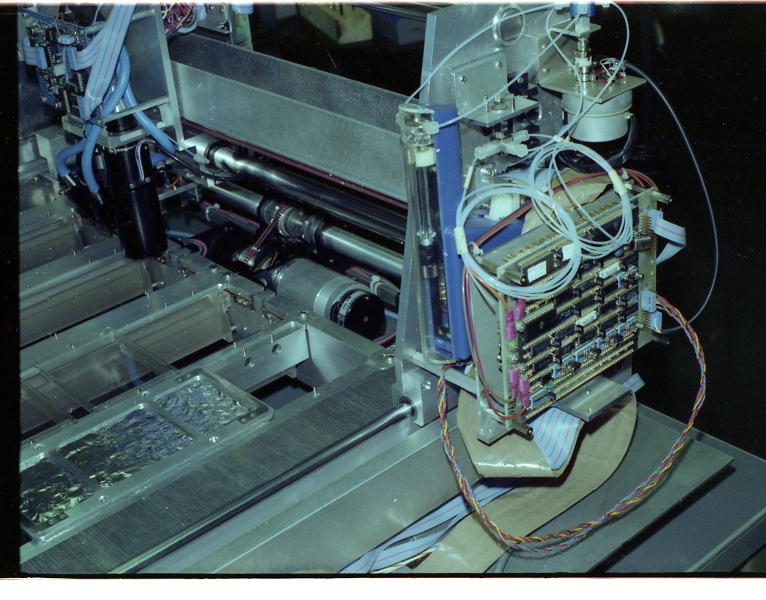 The machine had everything, X-Y traversing mechanisms, Pipetting needles, digital camera on the traverse head, fiberoptic lights, electrophoresis trays and electrophoresis power supply. Immunoelectrophoresis is a general name for a number of biochemical methods for separation and characterization of proteins based on electrophoresis and reaction with antibodies. All variants of immunoelectrophoresis require immunoglobulins, also known as antibodies reacting with the proteins to be separated or characterized. 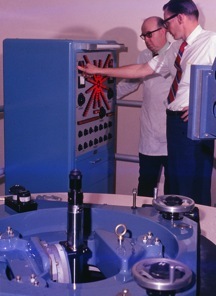 After the machine was finished the Japanese took it back to Japan to write the software for analyzing the test results. Problems developed with the software and the funding. The project was dropped. 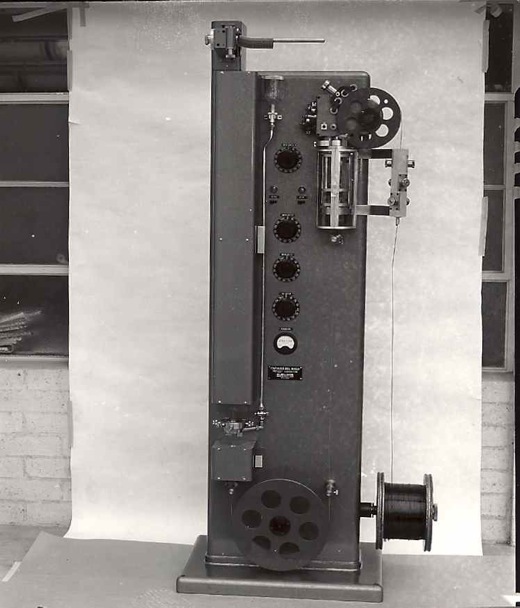 The machine was purchased by USC and returned to Los Angeles. 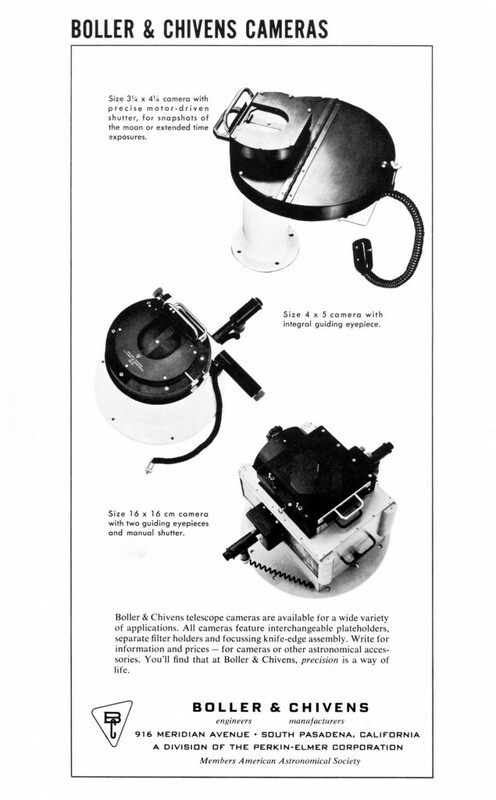 Bill DeBoynton, of Boller and Chivens Applied Optics Division, helped set it up at USC Medical Center. At the console operating 121 Collimator Aerial Mapping Camera Calibrator setup. at known angles +/- 2.0 arc second absolute, and was stable to +/- 1.0 arc second. Underside looking up showing the 121 Collimator Distortion Array setup. 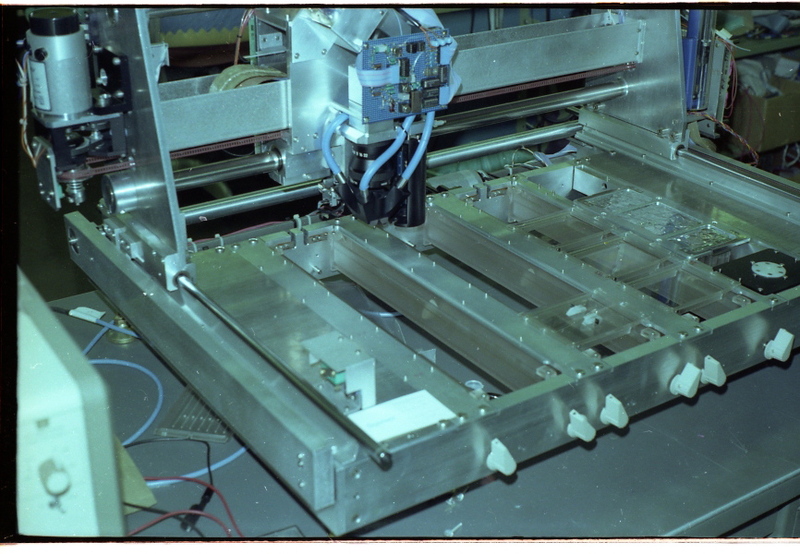 This is a photo of the Aerial Mapping Camera Calibrator base during construction. 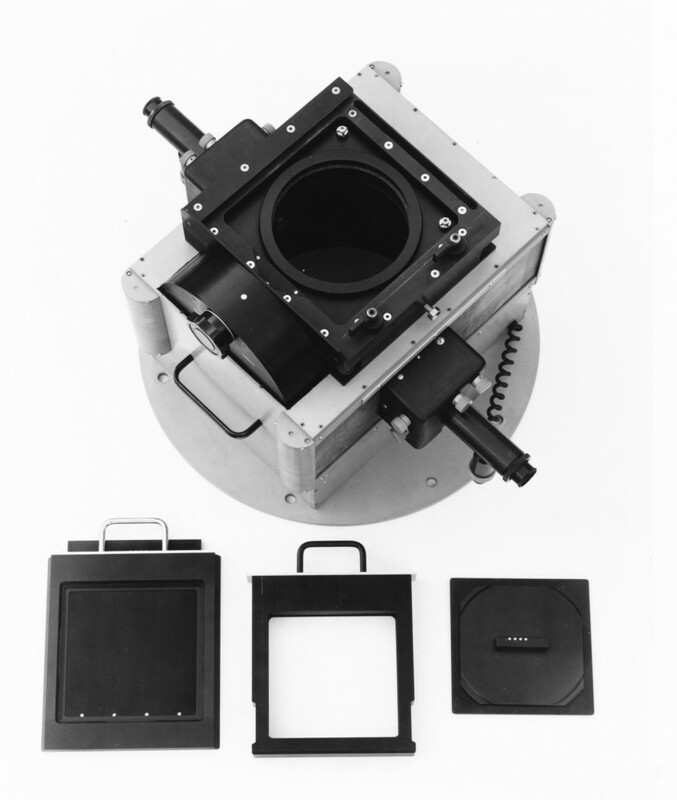 A 16cm by 16cm camera with two guiding eyepieces and manual shutter designed and manufactured by Boller and Chivens. Cy Denny of Boller and Chivens Project Engineer shown in above advertisement.